I Wasted $945.92 On Beachbody Workouts! P90x, Insanity, T25 & More! I like to think I have an open mind, and after seeing some amazing before and after pictures I decided to give a workout video a try. I started out with P90x, and I wanted to hate it, just so I’d be able to say, “see, I told you so”. But I didn’t hate it. I loved it! P90x is a hard workout, but I genuinely loved it and have been hooked ever since. After P90x, I moved on to P90x2, Insanity, then P90x3, I loved them all. From the image above, you can see that I spent over $945 dollars on Beachbody workouts! Here’s the thing, I don’t regret making those purchases, I love them all and still continue to do these workouts. I’ve accumulated these workouts over the course of 7 years. $945 is a nice chunk of change, but it still might be cheaper than the cost of a gym membership of the course of 7 years. The math – Let’s say I pay $20/mth for a gym membership (which is a super low estimate), that adds up to $240/year, and $1,680 over the course of 7 years. So I’m not saying that the workouts are not worth the cost, the definitely are and I was happy to pay for them. The purpose of this post is to share with you a way to SAVE MONEY on these exact same workouts! How would you like access to all of the workouts I mentioned above, plus much more for a fraction of what I had to pay?… Would that be pretty cool? With Beachbody On Demand, you can not have instant streaming access to Beachbody’s most popular workout programs, the meal plans, nutrition guides, program calendars, and all of the literature that comes with the physical DVDs. As a Beachbody On Demand member you will able to stream the workouts to your phone, computer, laptop, Ipad, tablet, and directly to your TV. Beachbody On Demand Free 30 Day Trial… Click Here! So while I paid over $945 for the Beachbody workouts I listed above, you can get access to the exact same workouts for a fraction of the cost. After The Free Trial, What Is The Cost Of Beachbody On Demand? You’re able to take a free 30 day trial of the Beachbody On Demand platform. This makes it possible to get through one of the shorter workout programs, like The 21 Day Fix Extreme of 3 Week Yoga Retreat, without paying for it, which is pretty cool. After your trial, if you love the platform and want to remain a member, there are 3 different price points. Beachbody On Demand Cost – Best Deal – $1.92/week! 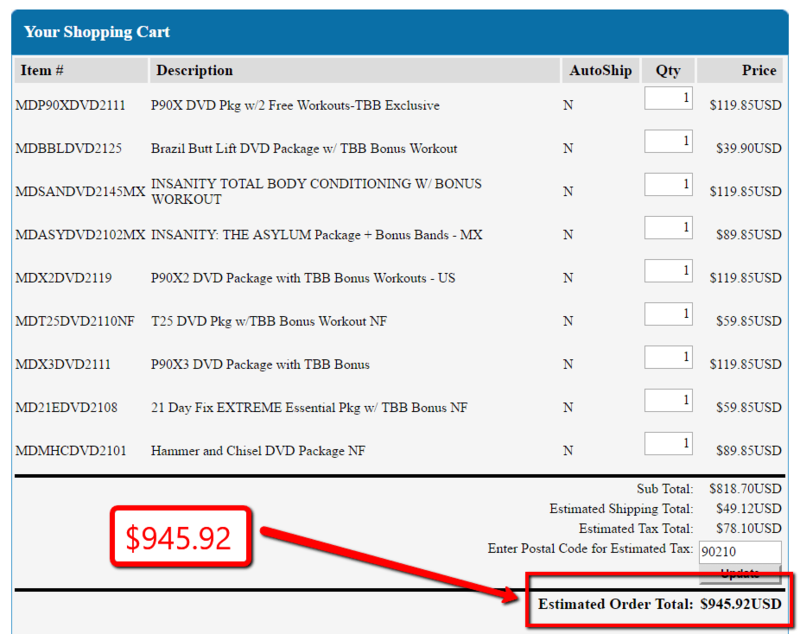 After doing a few price comparisons, it’s pretty clear that choosing Beachbody On Demand is a “no brainer” decisions. Why pay $120 for for P90x3, when you can have full access to it, and so much more, for an entire year, for a cheaper price. In the video below I give you an inside look inside of the Beachbody On Demand platform so you can see exactly what you are getting.